HOME / DOGS / PETSAFE STAY AND PLACE WIRELESS FENCE REVIEW – IS IT WORTH IT? 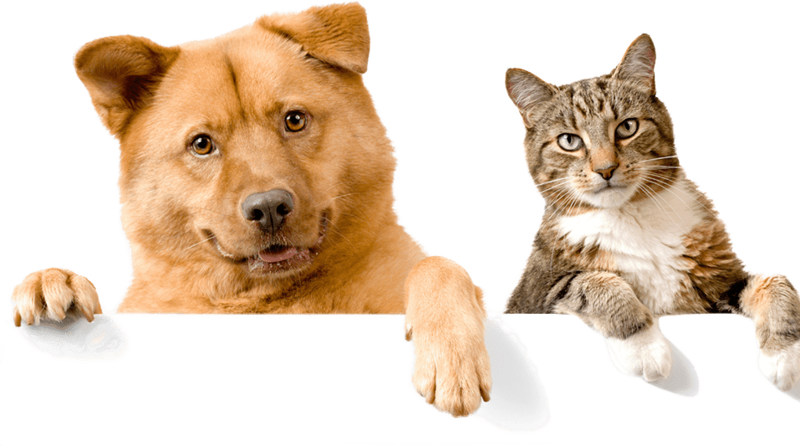 Pets are instinctive animals and keeping them in your house can be difficult task. They may persistently feel the urge to venture out even though it can be unsafe for them. That's where the PetSafe Stay And Play Wireless Fence comes in handy. It offers pet owners an ideal solution by keeping pets safely contained at home. It also comes with operating instruction manuals and training guides. The waterproof receiver collars offer a tone-only mode for training. When used as directed, your dog will be accustomed to the wireless fence in just 2 weeks. Depending on the frequency of use, the collar when fully charged lasts up to 3 weeks per charge and charges relatively quickly in only 2-3 hours. It is designed for pets that weigh 5 pounds and with a neck size 6 to 28 inches. This PetSafe product is not recommended for aggressive dogs, and if the owner is unsure of its aggressiveness, he or she is advised to consult a veterinarian or a certified trainer. How Does The Wireless Fence Work? The PetSafe Stay And Play Wireless Fence works by creating an invisible circular boundary that extends to up to ¾ acre or 105 feet in all directions. Using the radio signal emitted from the transmitter, an invisible barrier is created around your house. The receiver collar on your pet receives the signal and gives a warning beep. Insert a finger between pet's neck and contact points and ensure tightness is snug. The beep reminds the dog to keep within the boundary limits. The flags act as a visual reminder for where the boundaries are located. It also has a static correction which works to get the pet's attention while still being safe and harmless. The pet receives a static correction as long as it is outside the area. The collar has a safety time-out to stop correction and will stop beeping after 30 seconds. The wireless fence works best in on a flat and even ground. A sloppy yard with hills may cause the boundary area of the signal to appear less or more than expected. The signal is also mild in such areas. However, users in such areas are recommended to reposition their transmitter for it to work correctly. To set up your PetSafe Stay And Play Wireless Fence, begin by choosing a suitable location for your transmitter. The wireless transmitter creates a circular boundary for your pet. The transmitter is at the center of this circle. Plug the transmitter on a dry, well ventilated standard wall outlet preferably 2-4 feet above the ground floor (of your home). Turn it on and adjust the boundary control knob 8 and boundary switch to high. Prepare the collar by charging it to full charge (2-3 hours). After unplugging, bring the Contact Points together and tighten with the Contact Point Wrench. Turn it on by pressing-and-holding the Mode Button for 5 seconds. Next, walk out into the yard holding the receiver collar low. The collar will beep and test light tool illuminates at the boundary of the control area. Use the flags to mark the boundary area. The flags are also significant when dog training begins. When fitting the receiver collar, make sure it's turned off. Center the contact points underneath the pet's neck (in direct contact with the pet's skin). For best results in training, the pet should be at least 6 months old and know basic commands such as sit and stand. The pet containment is adjustable. You can adjust the size area by adjusting the boundary dial, or you can adjust the containment area by moving the transmitter within your yard. If you grow tired of your dog pooping on the same spot, you could adjust the area. Moreover, it will save your dog from that same routine play every day. The system saves you from a traditional long-term solution of constructing above-ground fences. Remember the buried wires? Well, no more of that. Rusty buried wires pose a risk to you and your pet. Additionally, wires restrict your children's play zone. The PetSafe Stay And Play Wireless Fence system strikes out that threat. The collar is extremely lightweight, giving ample comfort to your pet. The collar also comes with longer and shorter points of contacts ensuring that the collar is safe and effective for both larger and smaller pets. The system is not limited to one pet. Although the kit comes with a single receiver collar, one can purchase extra collars and configure them to add more pets. This saves you hustle of having to set up additional systems in your yard. With the PetSafe Stay And Play Wireless Fence, your dog can now accompany you to your camp and regular outings. The system is portable and compact making it suitable for traveling. Its small size and rechargeable batteries give you a perfect picture of a stress-free holiday. Although no special skills, tools or assembly are needed, the setup time of 1-2 hours may be too long for some pet owners. The set-up also comes with short, fun 15-minutes sessions to train your dog. The training may be cumbersome especially to pet owners who do not follow the instructions on the operating and training guidelines. A pet owner, who skips the outlined training sessions or hurriedly trains the dog, is sure to face a hard time in the initial phase of keeping the dog contained. Just as the name suggests, PetSafe Stay And Play Wireless Fence offers safety to your pet. The product works really well, and it is perfect for dog parents looking to contain their pet. Although slightly on the steep side, the price is well worth for the features that it provides. Reviews from verified purchasers recommend the system for its effectiveness in containing their pets. The one-year warranty is a great plus point. Pet owners living near traffic, can bet on this system and keep their pet safe. Just ensure that you train your dog correctly as it is the most essential part of the process.